You may remember my new years resolution to get out in the fresh air with my girls at least once a week, whatever the weather. 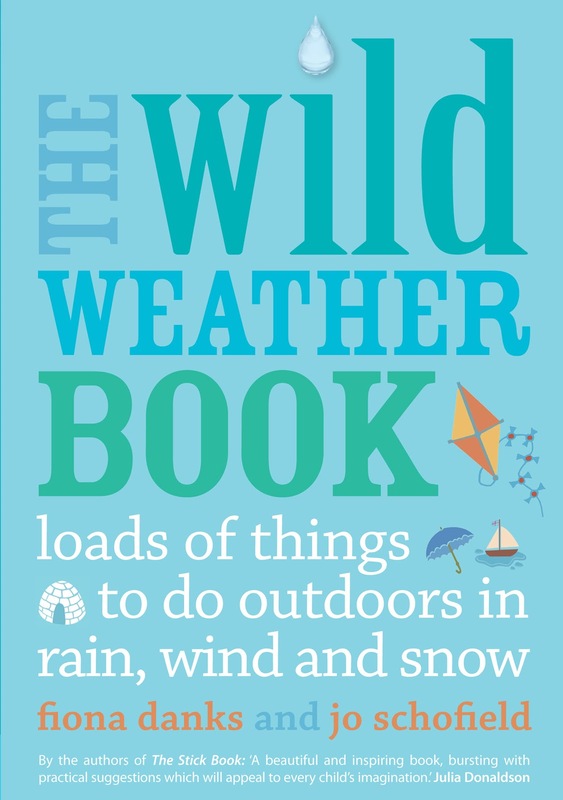 Well, the Wild Weather Book has been a great inspiration for fun outside throughout the cold spell and I'm sure it will be a wonderful resource for Lara over the coming months and years. 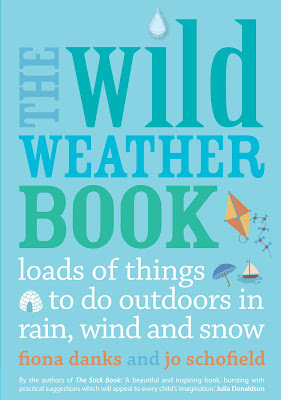 The Wild Weather Book by Fiona Danks and Jo Schofield has lots of ideas of things for children (and adults) to do outdoors in rain, wind or snow so I no longer have any excuses for staying inside when the weather is, shall we say, challenging. The book contains 72 'projects' from making your own decorative wind sock, to rain painting. From snow angels to den making. From rain instruments to mud pies. I am actually slightly embarrassed to admit that every time Lara picks up and browses The Wild Weather Book she shudders and comments on the first page of the book which features some very muddy feet covered in gloopy rainy mud! Lara has always been a bit funny with 'dirt' and it took her a very long time to get used to mixing food with her fingers. The thought of mud on her feet seems to repulse her! She definitely hasn't inherited that from me - I love to get messy, MUD is one of the things that memories are made of. So I've taken it as a challenge that this year I am going to help Lara through lots of the projects in The Wild Weather Book to try and make her more relaxed around mud, around sticks and leaves and the real world! I think challenge one will be project 19 from the book - outdoor adventures for the bath toys. I bet Lara will cringe if I even suggest that she takes the bath toys outside. Holly on the otherhand will love it and I think this is a great outdoor project because people of all ages can get involved. I know that Daddy is looking forward to den building and making a tent out of a tarpaulin (something I remember well from my own childhood). And, should we be blessed with any more random snowfall in April like we were this week, I'm hoping to teach Lara the joys of snow angels. I would say that about half of the outdoor projects in The Wild Weather Book are things I would probably have tried with my girls over the years with or without the book but it is nice to have something to jog the memory. As Lara grows up I expect her to browse the book herself and set about projects without our involvement. And the other half of the projects are great inspiration... I'm poised here now with a roll of kitchen paper and some felt tips pens just in case it rains!! !